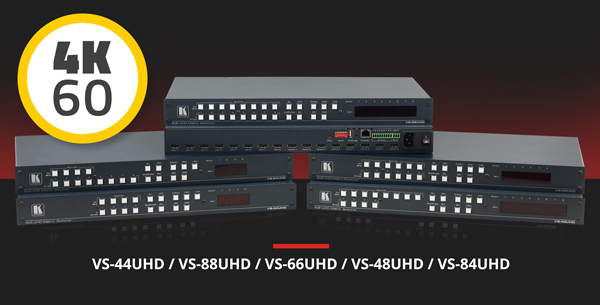 News | Our Complete Lineup of 4K UHD HDMI Matrix Switchers | Kramer Electronics USA, Inc. | Pacific Video Products, Inc.
From a Small Meeting Room to an Expansive Visitor Center, the Kramer 4K UHD HDMI Switcher Family Has You Covered. VS-48UHD (4x8), and VS-84UHD (8x4). 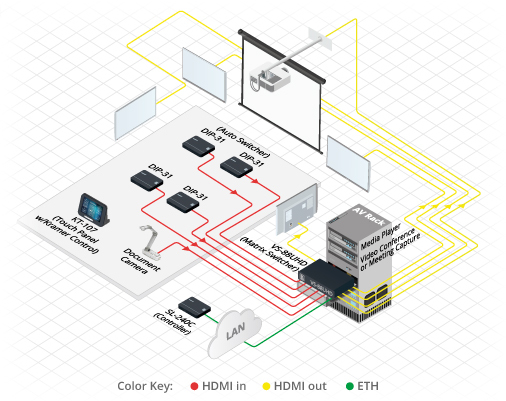 * The diagram featured in this newsletter is for conceptual illustration purposes only.